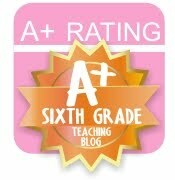 A Class*y Cruise...Around the Classroom Linky and Giveaway! 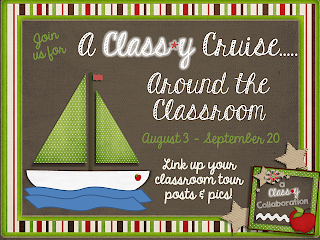 I'm joining A Class*y Collaboration for a classroom tour linky! 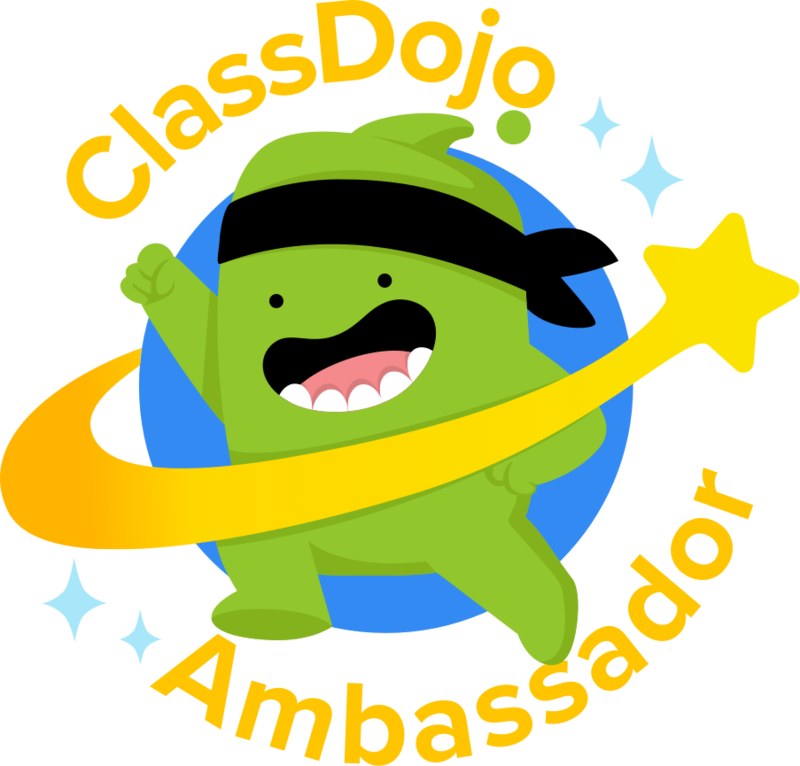 Check my classroom below and then check out some other classrooms! I finally finished my room. We return for in-service on Monday, open house on Tuesday, and the first day back on Wednesday. I still need to put together my students folders and do lesson plans, but my room is done! Yay! Enjoy the pictures. A view from the back of the room. My tables turned out good, after I painted them. My comfy chair I won! View from my teacher table. If you haven't entered my Giveaway go here. Lots of great prizes! This has got to be the coolest room I have seen yet! You are lucky to be able to have fun chairs and seats. I had to take all mine out last year because of fire code. Thank you so much. So sorry to hear that, we got to keep them as long as we sprayed them with a fire spray. Fabulous room Megan. You have created amazing learning spaces. Loving your student supply area and library. Now that your all organised and feeling on top of things the rest will be a breeze. Good luck. Your room looks GREAT! I would love being a student in your room! Thank you so much. I can't wait for the students to see it at Open House. My goodness your room looks huge! Is it as big as it looks? I blessed with the my room size. The clothespins on my Wild Work have saved so much time. No more pins and tape! Love all the coordinating elements. I love the idea of painting table tops. Did you use a specific paint? I used outdoor paint and then covered it in polyurethane. Hopefully it stands up against the kids. I'll let everyone know as the year goes on. Nice Classroom! I like your crates. LOVE how your tables turned out! I pinned your earlier post when you started them...thinking I might do the same...but I ended up with new (to me) wood grain tables. YOur tables look awesome! 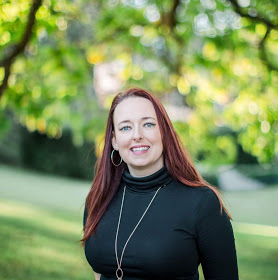 Can't wait to read more about your new virtual lab! Glad you linked up & gave us a tour of your classroom.